Trusts Unlimited holds Live Presentation Calls on Tuesdays and Thursdays at 3:00 PM EST. These calls offer a one-hour complete explanation of trusts in general and as well as information regarding Trust Unlimited’s trust packages in particular. The presentation is followed by a Q&A session moderated by the presenter, Jim George, a compensated spokesman, and by Robert Bly, a noted trust attorney, who is also a compensated spokesman. • Provide for our current and prospective customers, as the preferred “choice of law”, access to Wyoming Spendthrift Trust Law. • Accomplished through the incorporation of what are known as “a duress clause” and “flight provisions”. • In order for a trust to achieve optimum asset protection, in any jurisdiction having spendthrift trust provisions, it is necessary that all transfers to the trust be: 1) complete and irrevocable, and 2) that the Grantor/Beneficiary have no direct control over the management or distribution of trust assets. • When creating a trust, the Settlor may opt for “asset protection” or “tax avoidance”. • One cannot have both in the same instrument. • If the creator of a trust has direct control over the distribution of principal or income, that control will necessarily compromise and nullify any asset protection features of the trust. • Trusts Unlimited is proud of the products and services that we provide for our customers. • We will continue to make any enhancements to those products and services that we feel will benefit our customers. • Trusts Unlimited offers the best Trust Package available today. We have been able to assist many individuals with our Deferred Payment Plan. • Trusts Unlimited will be working with our customers to establish whatever international structures they may need or desire. • Trusts Unlimited will be introducing our Offshore Partners to those of our customers who attend our Post RV Seminar. • We have been working with our Offshore Partners in Nevis and Anguilla, in the international arena, for nearly 20 years. • Trusts Unlimited LLC and our Offshore Partners have experience with Global Currency Revaluations, and were involved with the exchange of the Kuwaiti Dinar in the 1990’s. • For a variety of reasons, it may become necessary to travel outside of the United States, in order to facilitate their currency exchanges. • Trusts Unlimited LLC has created an exclusive Currency Exchange Consortium to facilitate the exchange of your currencies. • Any pre RV customer will be eligible to participate in our Consortium. • Will be available to serve our customers on every level. • Will coordinate the creation of International Trusts with your Wyoming Trust Package. • Will have experienced Wealth Management Specialists available to assist our customers with the daunting post RV management of their investment portfolios. • Trusts Unlimited will be sponsoring a post RV Seminar for all of our customers. • Our program will include both our Offshore Partners and our post RV Wealth Management Partners. • We look forward to meeting you there. TRUSTS UNLIMITED WILL CONTINUE TO FAITHFULLY ASSIST OUR CUSTOMERS ACCOMPLISH THEIR PERSONAL AND FINANCIAL OBJECTIVES AS WE UNDERSTAND THEM. Robert M. Bly, J.D., practices law concentrating in estate, business, and asset protection planning at both the domestic and international level. 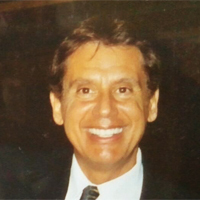 He is a frequent lecturer and writer on estate and asset protection planning. 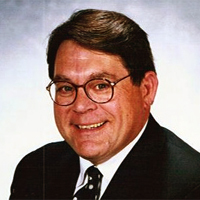 A practicing attorney for over 30 years, Mr. Bly is a contributing author of GENERATIONS Planning your Legacy. In addition, he serves as Chairman of the Board of Trustees of The Thomas Bly Foundation, a charitable organization committed to supporting asthma-treatment facilities and research efforts. Jim George holds degrees in Political Science, as well as Macro Economics and Finance, and he has 35 years’ experience as a Financial Planner and Registered Investment Advisor. Jim has spent the last 10 years specializing in the areas of Estate Planning and Asset Protection. revocable trusts, corporate protection, LLCs, Limited Partnerships, etc. can fail to provide the asset protection you want and need.